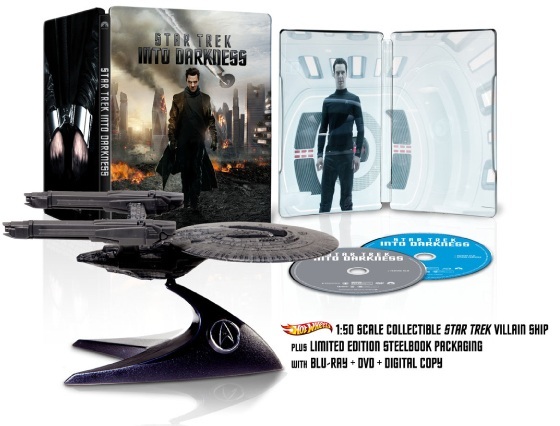 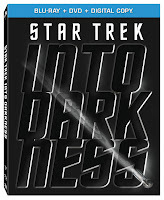 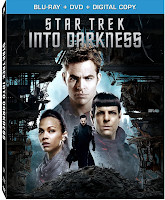 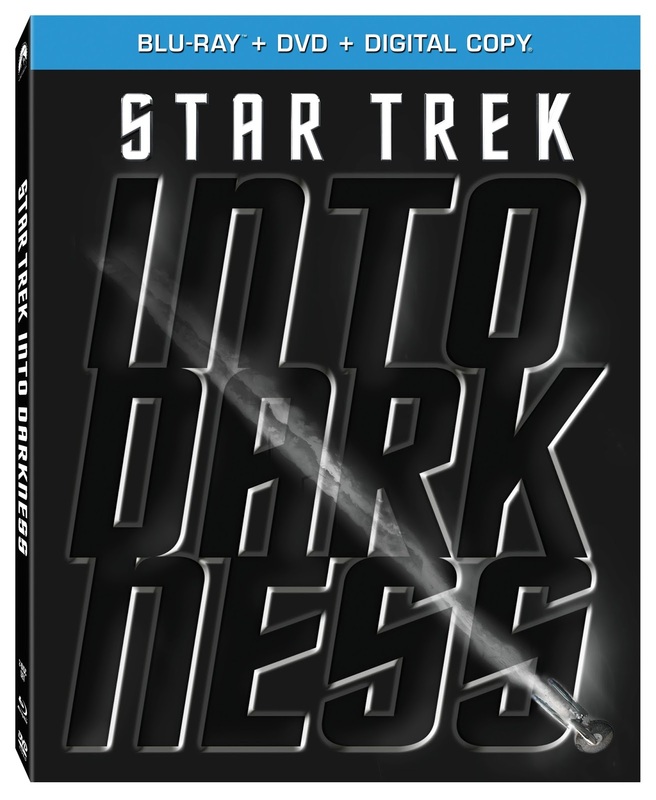 Details on the Various Star Trek Into Darkness Blu-ray Exclusives and Where to Buy Them! Exclusively at Target, a collector’s set that includes unique package art and a Blu-ray bonus disc with over 70 minutes of special features including 30 minutes of exclusive never before seen footage. 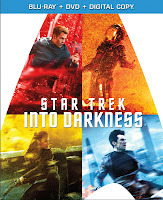 A Best Buy Exclusive, delve into the creation of the film’s unique alien creatures, get a first-hand look at one of the locations used for the U.S.S. 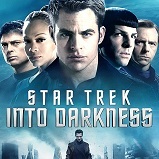 Enterprise’s Engine Room and more. 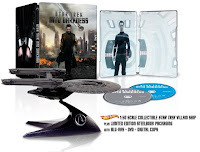 Only at Walmart, this Limited Edition Gift Set includes the Blu-ray Combo Pack in collectible Steelbook packaging and a replica of the Villain Ship. 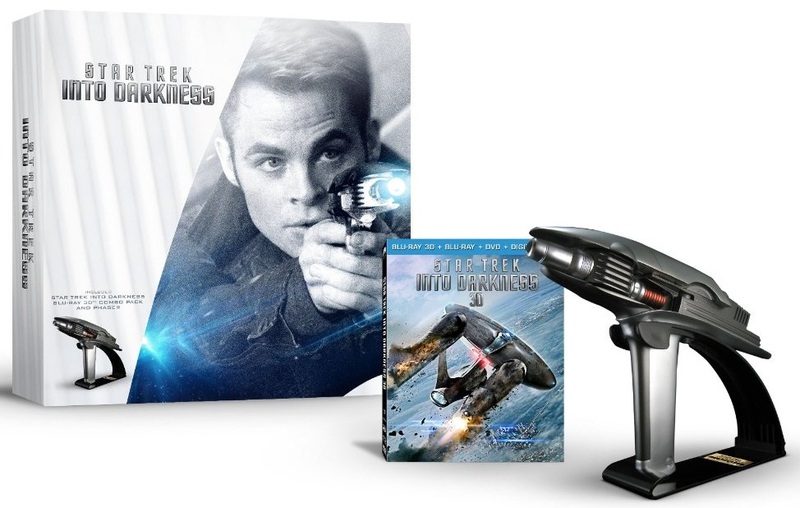 An Amazon exclusive, the Starfleet Phaser Gift Set includes a 1:1 scale authentic Starfleet phaser replica, gloss black display stand, brass plaque and the Blu-ray 3D Combo Pack. 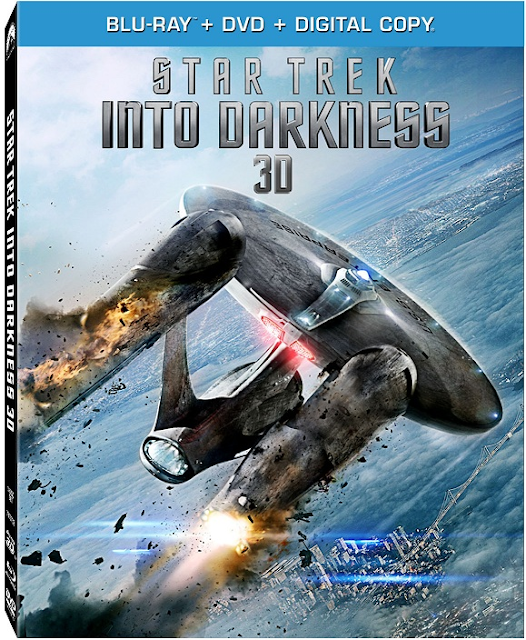 This is the standard 3D release. 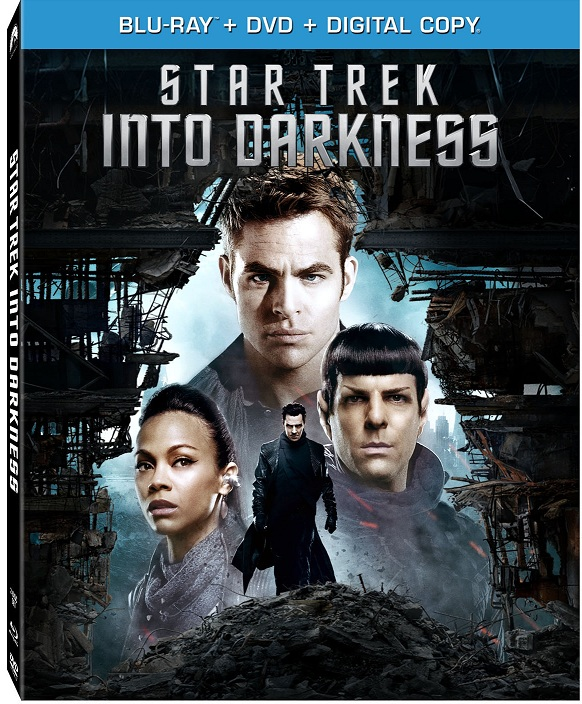 This is the standard 2D release.